My name is Emmy Lou Gallagher, and I live in Cloncurry, Queensland, Australia. 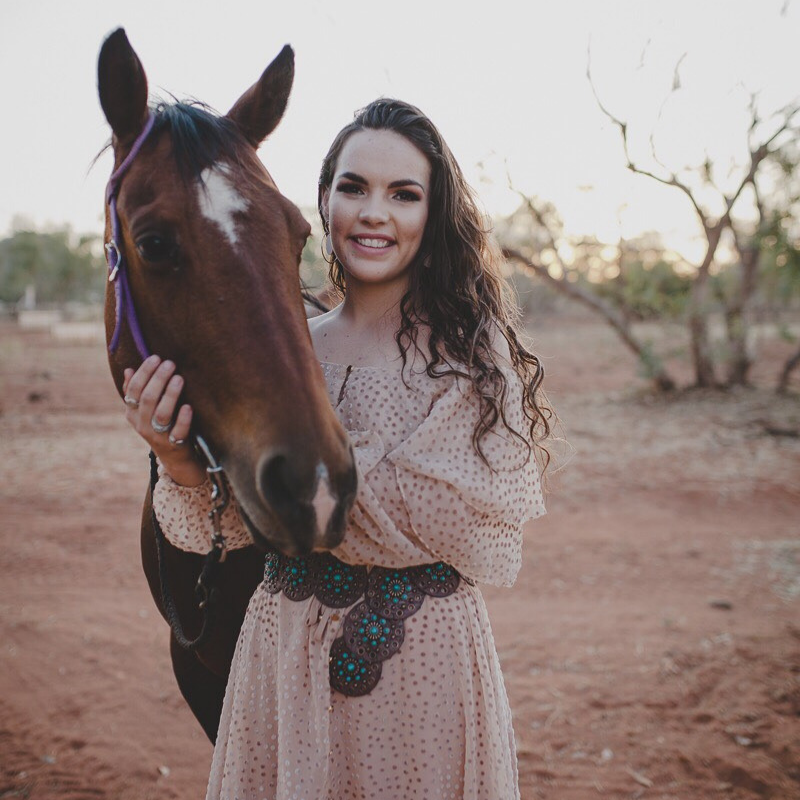 I grew up on a cattle station where my family raise grey brahmans, and although I work fulltime in an office job currently, I spend as much time as I can with my horses, going to rodeos or fullfilling my duties as Curry Merry Muster Rodeo Queen. I absolute love rodeoing and travelling, and I can’t wait to rep such a cool brand down under.